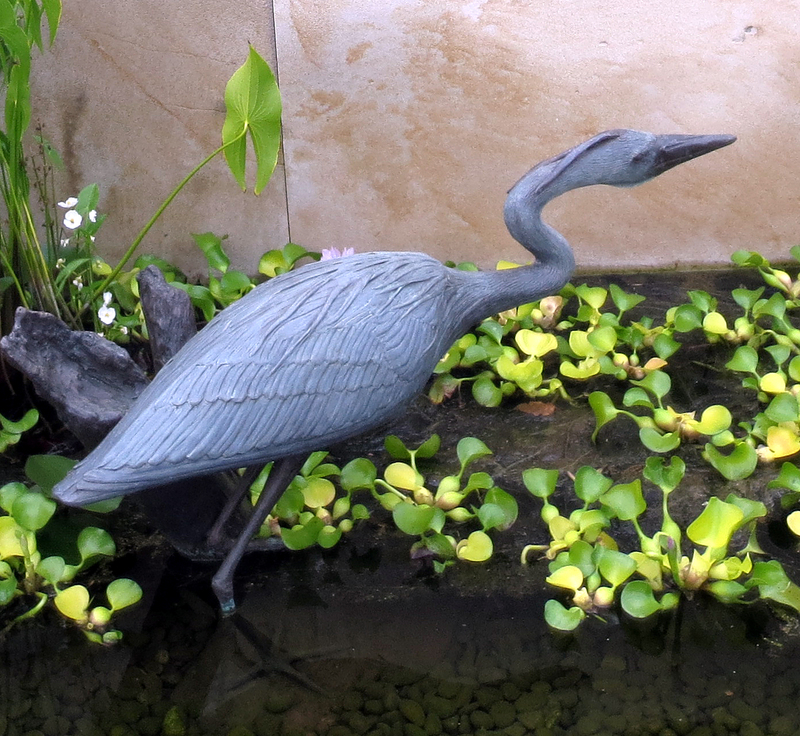 Greeting visitors in one of the pools flanking the entrance to Childhood’s Gate Children’s Garden is a sculpture of a Great Blue Heron. 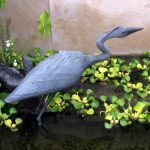 The heron is a gift from Mary Lou and Peter D. Bennett in honor of their daughters, Kate and Blythe, grandchildren, and great-grandchildren. 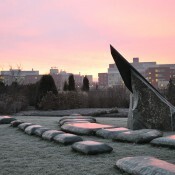 The Joel N. Myers Sundial in The Arboretum at Penn State is a landscape-scale, granite sculpture that serves as a functionally accurate timepiece and artistic attraction. 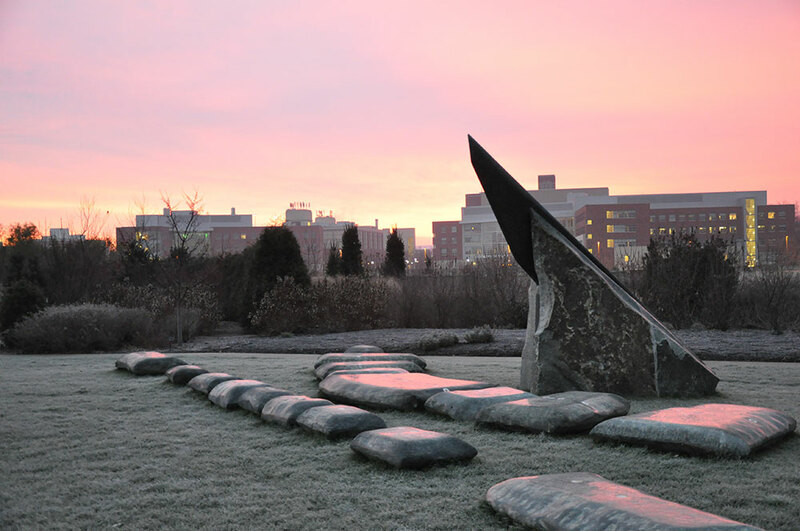 Created by sculptor Mark Mennin in 2011, the sculpture consists of 25 large, custom-shaped “digit” stones and a 9-foot high “gnomon.” The upper edge of the gnomon casts the shadow that is used to tell time. Hours are indicated by variously colored inlays in the stones. While everyone can enjoy the artistry of the Myers Sundial, the functionality of the timepiece introduces a complexity that requires explanation. Detailed directions for reading the sundial are provided in an interpretive sign next to the sundial and a brochure available in the H.O. 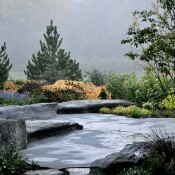 Smith Botanic Gardens. This custom-made sundial was made possible by a gift from 1961 Penn State alumnus, Dr. Joel N. Myers, founder of AccuWeather. 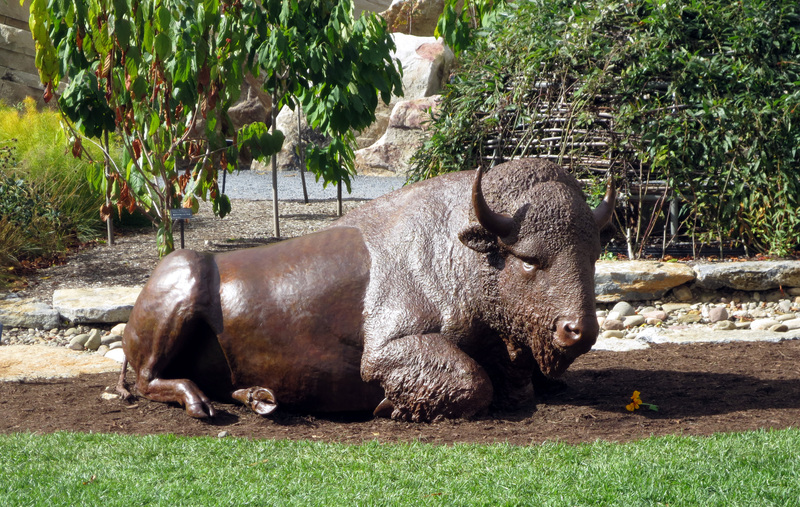 The Ridge and Valley Sculpture is a three-dimensional “map” that depicts the Spring Creek watershed surrounding the University and community. The 924-sq.-ft. map is made of Pennsylvania bluestone cut and laid in the shape of the watershed and carved to depict major features and their names. 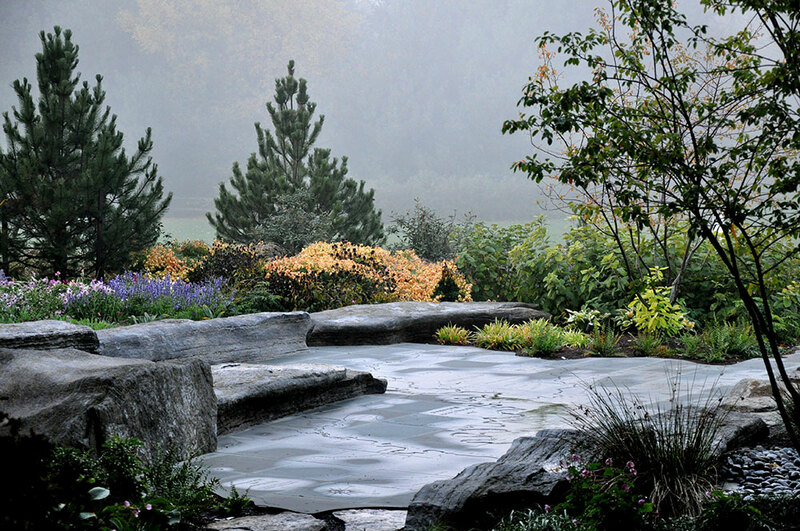 Natural limestone boulders represent the three mountain ridges that define our valley, all of which can be seen from the gardens. 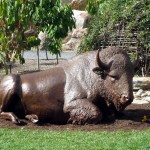 When it is dry, the sculpture is a scale map of the geology and watershed of this area. When it rains, the runoff from the roof of the Overlook Pavilion drains onto the map and flows along the carved waterways, creating a watershed in miniature. This unique watershed map, a popular destination for classes and the general public alike, was funded by Don Hamer and Marie Bednar. 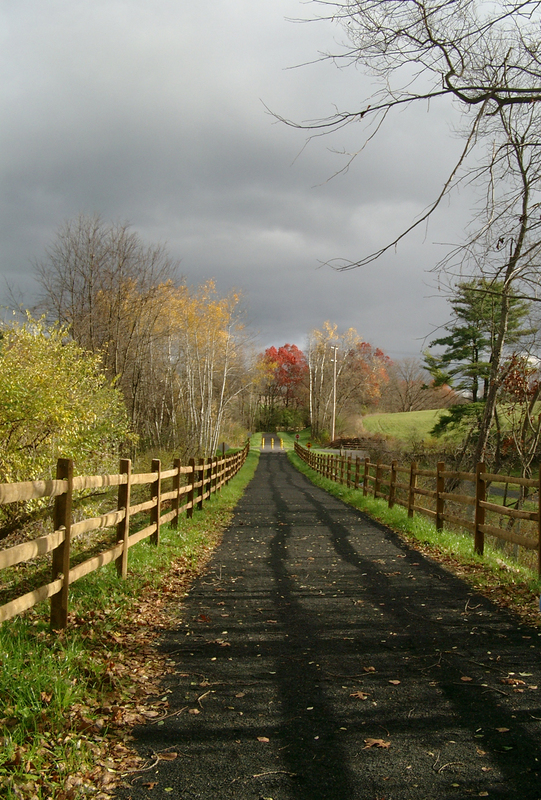 The Bellefonte Central Rail Trail is a crushed limestone trail that follows the former Bellefonte Central Railroad bed for 1.3 miles through the Big Hollow portion of the Arboretum. Because of its quiet and naturalistic setting, the trail offers an exceptional recreational opportunity close to campus and the community. In addition, many hikers and bicyclists use it as an alternative route to campus from the Toftrees residential development. The rail trail passes near the hybrid chestnut plantation, the prairie restoration site, and the Hartley Wood. 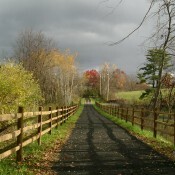 The trail was funded by grants from the Pennsylvania Department of Conservation and Natural Resources and the Pennsylvania Department of Transportation and through the efforts of a regional partnership consisting of Penn State, the Borough of State College, and College, Ferguson, and Patton townships. Location: Sunset Park at the end of McKee Street in State College, Pennsylvania, serves as the trail head. Visitors can access the rail trail by following the paved McKee Street/Clinton Avenue Bike Path from Sunset Park approximately 1,200 feet to the west, where the trail intersects the bike path. The Marsh Meadow Boardwalk forms a passage across the James J. and Lynn D. Ramage Marsh Meadow, a natural low area between the Botanic Gardens and Park Avenue planted in tall switch grass. For pedestrian visitors walking to the Arboretum from campus, the boardwalk provides a pleasant and direct route into the gardens. 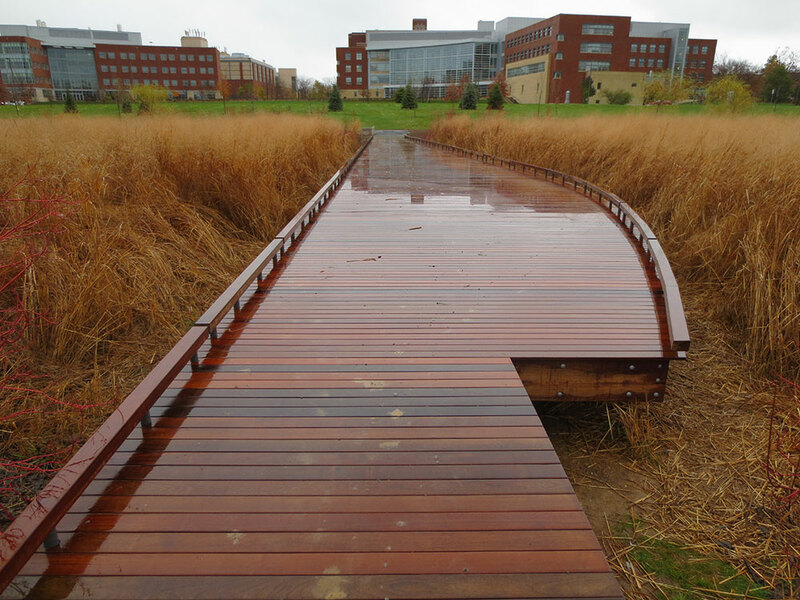 Designed as an aesthetic feature in its own right, the boardwalk creates the illusion of a “bridge” over an impassable wet area, and provides an integrated bench where visitors may escape the more hurried pace of campus life and enjoy the natural, park-like landscape in front of the formal gardens. 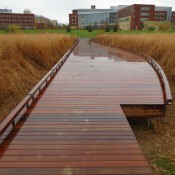 The boardwalk is a gift from the Penn State Senior Class of 2010. On September 28, 2005, the Hosler Oak, the first tree planted as part of the Arboretum, was dedicated in honor of Dr. Charles L. Hosler, senior vice president for research and dean emeritus of the graduate school and professor emeritus of meteorology, and in memory of Dr. Hosler’s late wife, Anna Rosa Hosler. 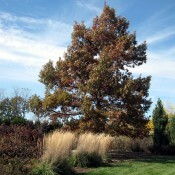 The tree, a white oak (Quercus alba), was planted near the highest point of a ridge sloping down towards Park Avenue. Because that field would one day be transformed into the Arboretum’s botanic gardens, the oak was dubbed the Arboretum’s “witness tree,” a living cornerstone that would witness the full development of the Arboretum. It will eventually grow to be 80 to 100 feet tall with a trunk 3 to 4 feet in diameter and a spreading crown form typically seen on old, open-grown white oaks in the central Pennsylvania countryside. A century from now, this tree will be a prominent feature of the Arboretum landscape and a venerable reminder of its origin. 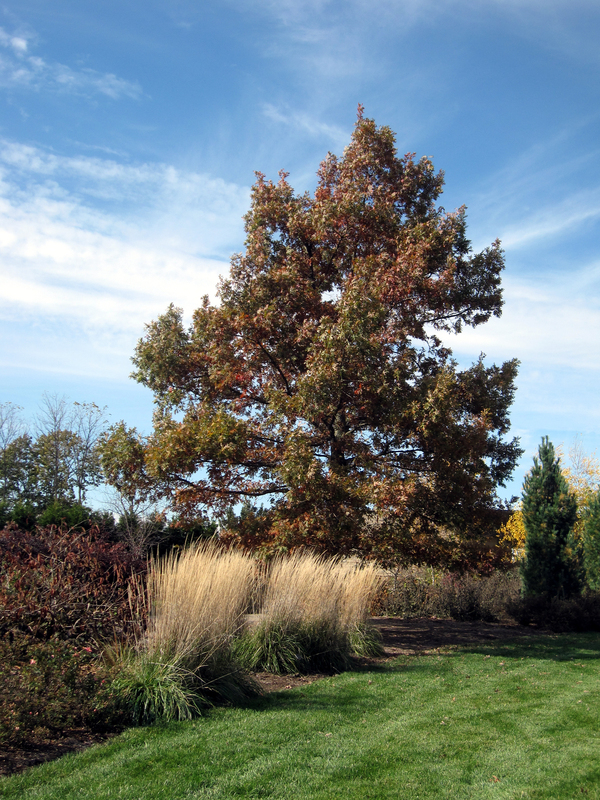 The Hosler Oak is a gift from George Biemesderfer, a Penn State alumnus in agriculture, who wished to both commemorate his cousin and mentor, Dr. Hosler, and his wife, and to inspire others to help build the Arboretum. 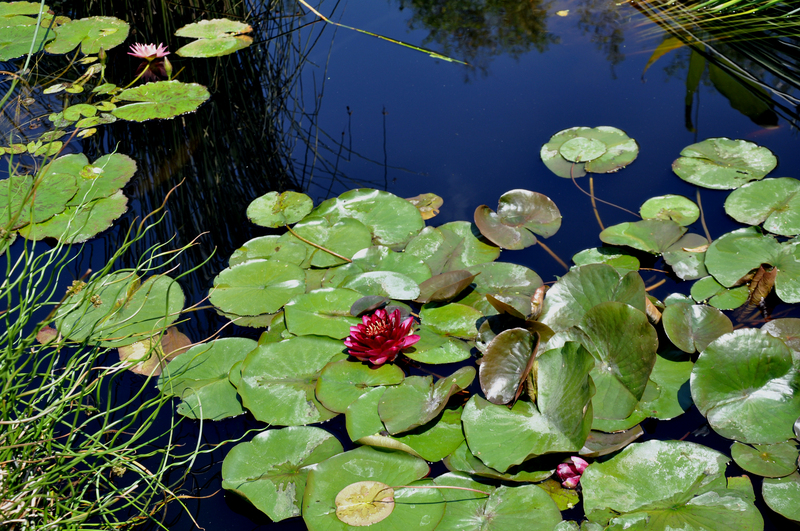 The Lotus Pool features a combination of both tropical and hardy water-lilies, rare lotus plants, and other water plants donated by George Griffith, a ’56 alumnus in horticulture. 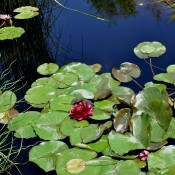 Mr. Griffith has been hybridizing water-lilies for over 50 years. Among the lilies he has given the Arboretum are ‘Thomas O’Brien’ and ‘Lemon Chiffon,’ both of which may be seen in bloom from June through September. The lotus plants are unusual because they originated from seeds collected in a dry Manchurian lake bed and germinated in 1951 by Paul Souder, a botanist at Kenilworth Aquatic Gardens in Washington, DC. Carbon dating has shown that the seeds were over 800 years old. The Margery Enes Smith Soaring Waters fountain overlooks the Marsh Meadow from a vantage point just outside the walls along the southern edge of the Smith Botanic Gardens. 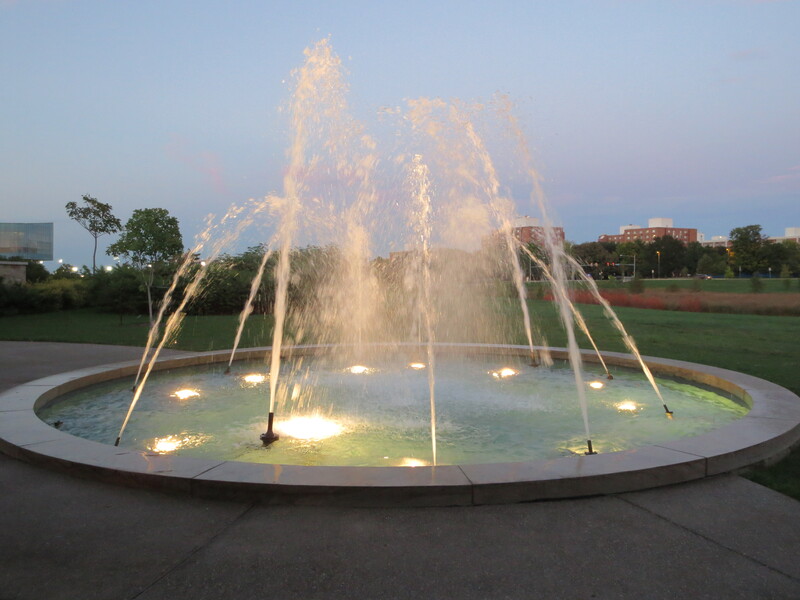 With its series of jets set in a round pool thirty feet in diameter, the fountain is viewable from Park Avenue. The benches and seat wall nearby offer visitors a chance to sit and enjoy the water display while contemplating the view of the meadow below and campus beyond. 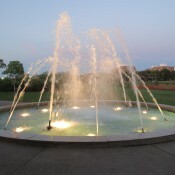 The fountain is replaced with a lighted holiday display in December and January.